This contemporary loft apartment built inside a 19th-century building will leave you dazed with its large adaptable open space and urban, bohemian look. 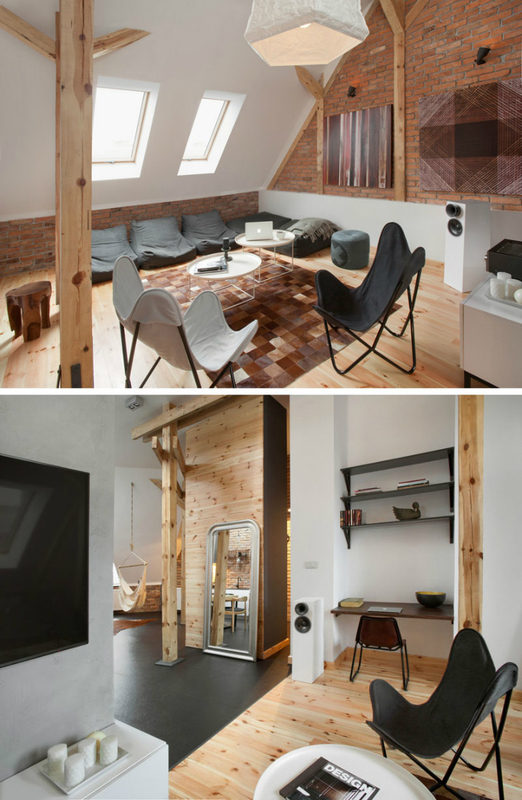 CUNS chose the loft of this building in Poznan, Poland to transform it into a cosmetically stunning livable space. To make the interiors airy and spacious, the focus is kept onto maximize the open space. This ensures plenty of light inside the apartment for giving it a visually larger and voluminous appearance. The original heights of the room are not altered and more windows are added to bring in natural sunlight. This also frames more exotic and pristine views of outside landscapes. Most of the walls are given a lick of fresh and bright white paint which is known to give enormous depth. Thus, even a small space inside this stunningly beautiful apartment appears bright and large. For the flooring, gray tiles are predominantly used to complement the white of the walls. Other wood and brick touches are used here and there so as to add a visually appealing and stunning content to the interiors. When you talk about the bedroom, there is an amazing work of intelligence and creativity. One of the walls is painted dark gray featuring an intricate artwork between the set of lights. 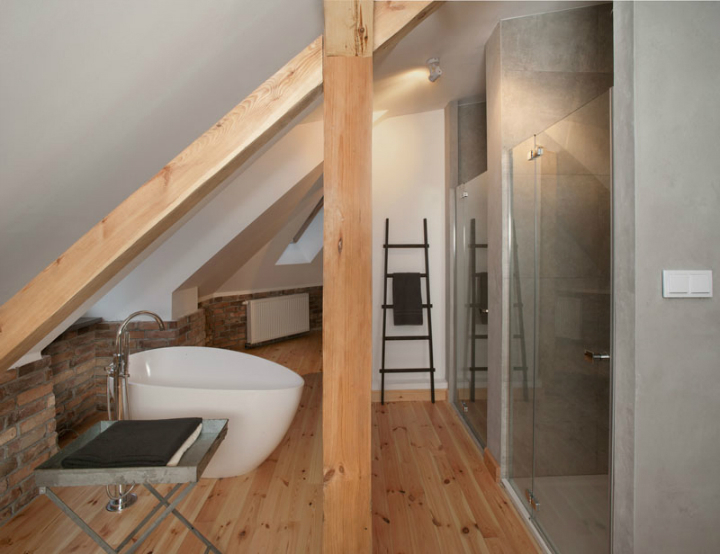 An open bathroom is also designed inside the bedroom. You can enjoy the views out of the windows while indulging yourself in a standalone bath devised there. 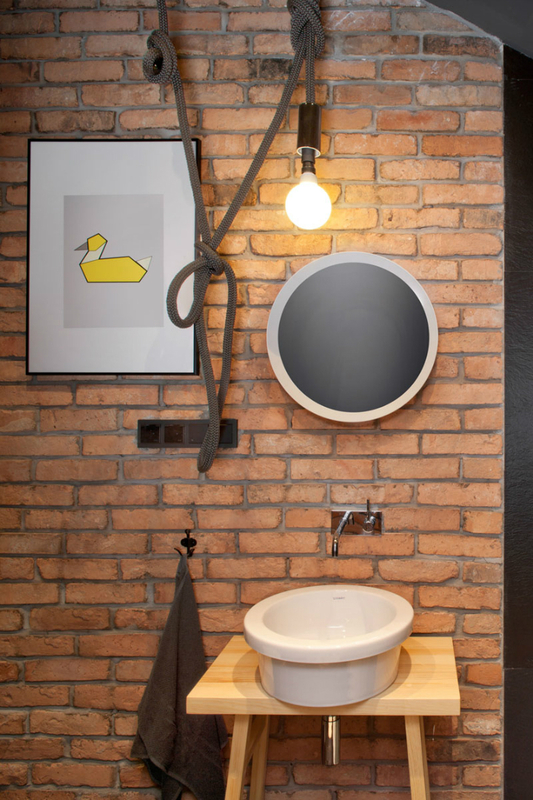 Shower and toilet areas are separate and very smartly carved out in the bathroom. In the main hallway, another bathroom for guests covers up the small space of the apartment. So, basically the way in which this small space is transformed into a luxury apartment is stupendous. 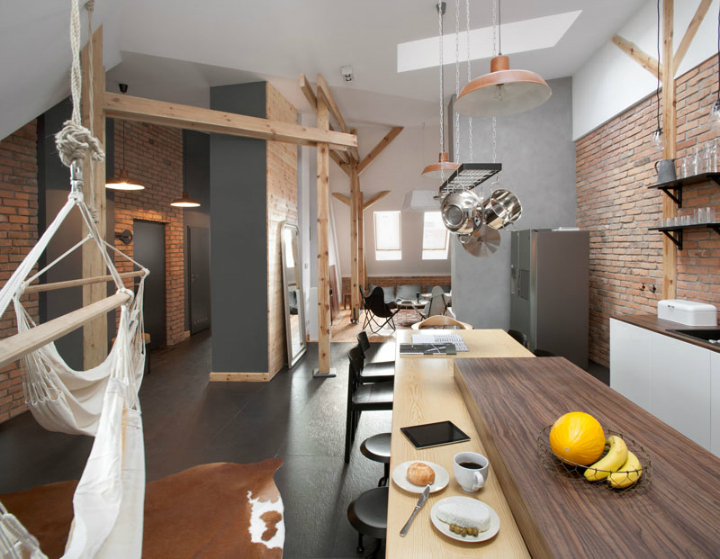 From the structural design to the choice of paint colors, every single idea used in the making of this contemporary loft apartment is remarkable.